Best Western Plus Bass Hotel & Suites est idéalement situé dans le centre de Leeds. Venez découvrir et profiter de notre hôtel à côté des principaux sites touristiques. Réservation au meilleur prix et offres exclusives toute l'année. Le Best Western Plus Bass Hotel & Suites est un nouvel hôtel construit en 2006, dont le décor agréable a été conçu en pensant à votre confort. Blotti au pied des Appalaches et à quelques minutes de Birmingham, notre établissement est l'endroit idéal où séjourner. Le circuit Talladega Super Speedway et le Barber Motor Sports Park étant à quelques minutes à peine, vous serez en mesure d'assouvir votre soif de vitesse. Si la pêche est votre sport préféré, vous apprécierez les nombreux lacs de la région, où les achigans abondent. Avec le Bass Pro Shop à seulement 6 kilomètres, vous aurez accès à l'un des plus grands magasins d'équipements d'activités de plein air du pays. Et juste de l'autre côté de l'Interstate, en face de Brass Pro Shop, se trouve la nouvelle galerie commerciale de Grand River avec 44 magasins, idéale pour les adeptes du shopping qui pourront s'amuser et faire des économies. Vous passerez une bonne nuit de sommeil après avoir assisté à un enregistrement en direct aux studios EWTN situés à 18 kilomètres de l'hôtel. Nous disposons d'une salle d'entraînement entièrement équipée, piscine intérieure et bain bouillonnant. Pour bien commencer la journée, profitez de notre petit déjeuner buffet complet chaud gratuit servi chaque matin. Gardez le contact avec votre bureau grâce à Internet haut débit dans toutes les chambres. Pour passer une soirée romantique, testez l'une de nos suites avec Jacuzzi®, admirablement meublées, avec four à micro-ondes et réfrigérateur. Bienvenue au Best Western. Enjoyable 3 night stay. Was convenient to the Barber racetrack. Hotel was in a location where it was convenient to restaurants and stores. Breakfast offered a good selection of choices. Room was clean and bed was comfortable. Staff was friendly and helpful. We are so glad you enjoyed your stay! Thanks for staying with us and we hope to see you again in the future! We got a great rate at this hotel, the young lady at the front desk was super friendly and made you feel welcome. The room was very nice. I really like Best Western hotels, have never been disappointed at any one that I stayed at. We are so glad you had a great stay!!!! Thanks for the great review! My husband, daughter and I needed a bed for just one night when going to a concert away from home. The price of BW Plus was the best for what we wanted. Breakfast was great and enjoyable. Will use this hotel next time we are in the same area and probably when we go to offer cities besides Leeds, AL. We are so glad that you enjoyed your stay! We look forward to you staying with us again in the future! This hotel is located halfway between our two grown children and their families. It has become our “go to” place every time we're in town! It's clean, comfortable and has a welcoming atmosphere and staff. It's reasonably priced and gives us personal space but located such that we're very near our children and grandchildren. We are so glad to be your home away from home! Thanks for staying with us and thanks for the great review!!! See you next time!! Great place to stay ! I was greeted with a nice welcome by Hetal the receptionist! The bed was soft and the sheets crisp, nice place!I'm going to sleep like a baby tonight and hope for a great breakfast! Have stayed here several times before. Always clean rooms and friendly staff. Quiet environment for a hotel. My preference for this area. I highly recommend. I got the suite this time. Plenty of room to relax and work. We stayed here one night, the hotel was very busy due to weather in Florida. Our reservation was through Hotels.Com. We always request a high floor, at reception they told us or request was not passed on. We were able to do our laundry here. The breakfast was adequate. Bed and lighting was very Poor, food was tasteless and had no real creamer no sweetener and no cream cheese for bagels. I would not stay again at all.the noise level was very bad and had to turn the heat up high just to get it comfortable. We had a wonderful experience and stay at this hotel. Staff was amazing and helpful. Breakfast was really good. Location was perfect. Very clean and comfortable. Look forward to visiting here again in the future. Room was clean, the breakfast was good. The staff could use uniforms and a bit of training to remind them customers are not there to bother them. The AC did not work correctly, it kept the room cool but not cold. I booked this through my Best Western points on our way to our vacation destination. The location is good with restaurants easily in walking distance, basically just across the parking lot. The check in was easy and the room was much larger than expected. Everything was clean, bed was comfortable, I would definitely stay again. 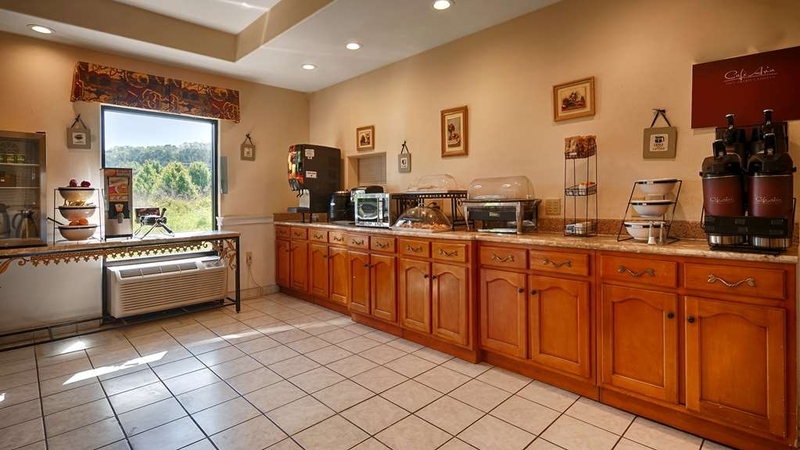 This hotel is just off the interstate with several restaurants nearby including a Cracker Barrel and a steak house. The Bass Pro Shop and Barber's Motor Speedway are just five to ten minutes down the interstate. It was not good, we were locked out of our room on 10/19/18 for over an hour due to no fault of our own. The hotel staff said management would reach out to me, but they never did. This also limited the time my kids spent in the pool which had a yellow tint in the color. The bath tub had a foreign stain that we could not determine. "good stay - okay price"
Good location. plenty of parking for our truck with large trailers. Multiple eating options within walking distance. Disappointed this Best Western would not give our group of Disaster Relief Volunteers much of a discount of room rates, most Best Western's have been very gracious. But grateful for a good night's rest. "Very nice and well, better than most"
Stayed here for a one night stand. Hotel was clean,checkin was quick and room was upscale. Breakfast was way above average. If there was any down side it would be the pool, it didn't open till 10am. Not convenient for a 11 am checkout. Not a big deal, overall a very nice night! 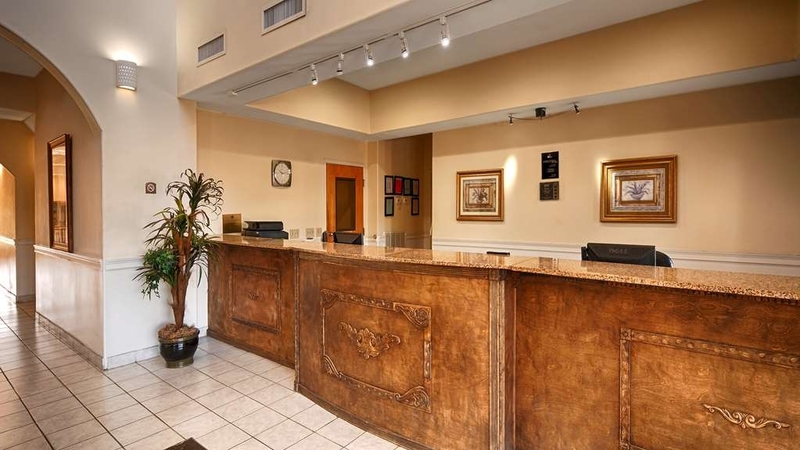 When we arrived, the desk clerk was very friendly and competent in checking us in. When I entered the room, it was very warm, so I tried to adjust the temperature on the A/C. Unfortunately, it didn't seem to be working, so I was given another room. That room was much smaller than the first room, having no couch or desk (did have 2 chairs and a table), so I asked if I could keep the first room since I'd be coming back later and that would give her enough time to get the A/C working. All good....when we returned, the original room A/C was working. We had a few minor problems that evening...the TV remote was slow working with no sleep timer or closed captioning. Also the TV had a key lock on it so we couldn't hook up our streaming device. But the bed was comfortable even though it had 4 very little pillows. Our major problem occurred in the morning, when checking out. I told Stephanie that we were staying on points, but I still needed a receipt to show a zero balance before I left. It's a good thing I asked for a receipt as it showed a $30 balance due. She insisted that when paying with points, you must pay taxes. I let her know that the taxes would never be that high and that I've never been charged extra when I have paid with points. I also had my confirmation showing that the cost of my room was only the points and that no other monies were due. I was in a rush, so after arguing for a short time, I just left saying that I would be calling to dispute the charge as well as call the Best Western Loyalty program. I did return before leaving to find out she had refunded the $30. I did call later the Best Western Loyalty program to find out if their program had indeed changed to be told that there was supposed to be no extra cost than my points...they even pay for the taxes. Reading over the past reviews and knowing what happened to me...we will not stay here again. We do apologize for the inconvenience and that the front Desk clerk did this. But it was taken care of before you left the hotel. We do not charge people for things that are not suppose to. "Worst Hotel I have Ever Stayed At"
Worst hotel I have ever stayed in. Representative on duty when we checked in was on consistently on a smoke break. Our room was over booked so we were moved to a different type of room. The room we were given was not stock, there was 3 clean towels in the bathroom for a four person reservation and one dirty towel hanging on the back of the door, there was no coffee cups, no conditioner, and the room phone was inoperable. Pool area was not stocked with towels, had to go to the front desk and wait for the representative to come inside from a smoke break in order to get pool towels. After the pool we went back to the front desk to get two extra towels and a blanket and again had to wait for the representative to come in from smoking. After checking out and driving home I received notification of an additional charge to my credit card account in the amount of $60. When I call they said I was being charged for stealing two pillows. I politely explained there was 8 pillows, 4 per bed when we checked in and the same number when we left. The representative said unfortunately she could not help me and said her boss would call me back. I have called 3 more times and spoke with the same person and have not yet heard back from the boss. When I called the last time I was told he said if there was less pillow reported after I checked out he would have to charge me for it. Still I have not been able to speak with the boss, a Mr. Harry Patel. I am inclined to never stay with Best Western again after this experience and bogus credit card charge. Being a Best Western Platinum member I had always chosen Best Western Hotels over all others when possible. I have never stolen or taking anything from a hotel and would never do so, especially when my credit card is on file. I would not risk a 19 year military career over lumpy hotel pillows. Stayed for a funeral in the next county. SO clean and they were so helpful. Due to surgery, I was unable to lift my suitcase from my car and the night clerk stopped what she was doing and took care of us. We are glad that you enjoyed your stay and the staff was helpful. Please come see us again soon. 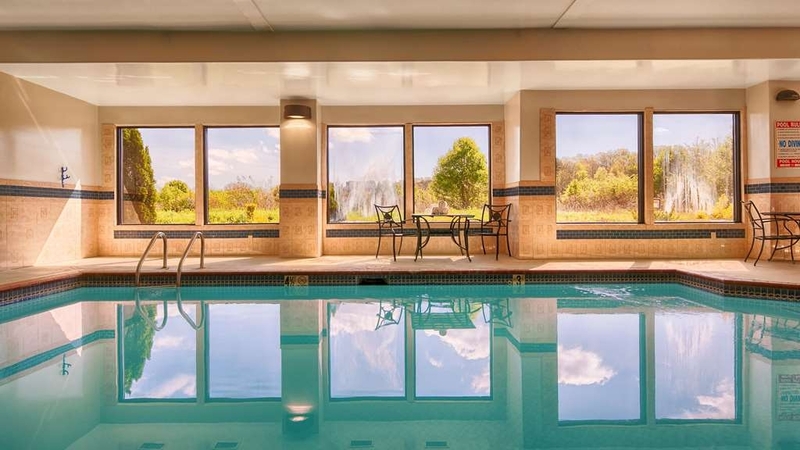 "Road trip with sister in-law"
The service we received was too of the line and the rooms were very good sized.The bathroom in our room was very spacious.We partook in the complimentary breakfast and I was very pleased and full when we left. The desk clerk never greeted my family once the entire weekend. She was at the desk, night and day, the entire weekend also. We were not given any receipts, because we were told the printer was down. Upon checking out, my daughter found out that her card had been swiped 7 times, and finally her bank stopped it. When the staff was asked how this happened, they could not give an answer. Even though both nights were paid for, one by my card and one by my daughter's card, we were told that we till owed one night in payment. When asked for proof of this we could not get an answer. I called my bank and I was advised to cancel my card because the payment had already gone through, as had my daughters. The couple checking out after me also had a major problem, they were charged three almost 4 times the amount they were promised. We all requested to see the GM, Mr Harry Patel. He was no help whatsoever, so I called the Best Western Corporate Office to try and get some answers. Still waiting on the answers from the corporate office. DO NOT STAY IN THIS HOTEL! Check-in and check-out were easy. The suite (two queens and sofa bed) was clean, but a bit on the smaller side compared to some hotels with similar bed layouts we've stayed in. It was convenient to I-20. The continental breakfast was nice. We stayed last night and I wish we didn't. The hotel smelled musty and dirty. Our room smelled just as bad. Thank goodness I had my Scentsy Go with me! The shower dripped constantly. When I took a shower this morning, the steam produced a vulgar saying and pictures on the mirror. Really?! It was not a great stay and not worth a $100.00 bucks. Great place to stay. Plenty of eating places nearby. And they are mostly good places. The hotel is very nice and a reasonable price. Great breakfast area with good choices. We have stayed here before and would stay here again. Overall, this facility is a good one if you are looking for an economical choice with amenities like a free breakfast and WiFi. We had a few issues with our room, but the staff was friendly and offered to make things right on our next stay. 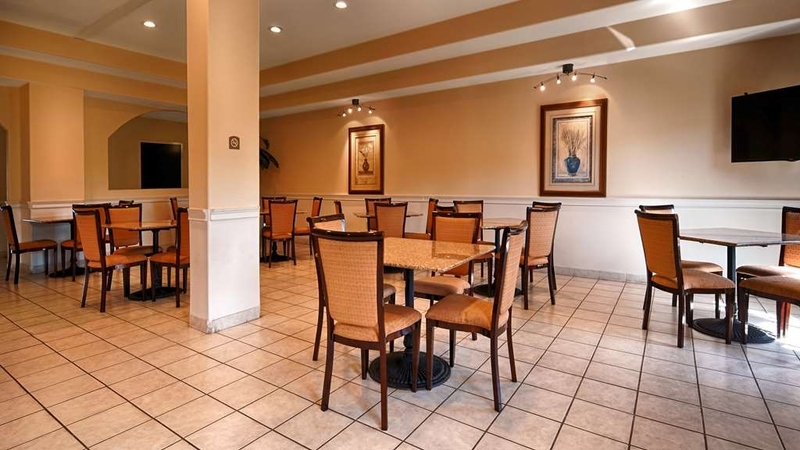 There are several restaurant choices within walking distance and the hotel is convenient to the interstate. Our room was clean and modern but smelled like it was a smokers room. We had requested NON-smoking. This was already the second room we had checked into and we decided not to request another room because we were hot, tired, and just wanted to go to sleep. That being said, I have every confidence that if we had taken our concerns to the staff, they would have secured us another room. Other than that, the free breakfast was hot and tasty and the general appearance of the hotel was clean and well-maintained. A tree fell on our home and has to find a hotel. Our stay lasted 5 days. Check in was easy. Rooms were very clean. Every single day the cleaning crew came around...the rooms were spotless. I own a cleaning service. I know clean. My family travels alot and has stayed at many hotels in different states. This is by far the best kept hotel. Indoor pool with hot tub. Breakfast was good with many choices. Bacon, eggs, waffles, fruit, bagels, cereal, gravy etc. My only complaint..we were there 5 days. The only hotel desk clerk that ever spoke to me was Sabrina the day I checked out. I went in and out the lobby every day and no hi, hello or have a good day. Customer service should start with a smiling front desk agent then carry thru the rest of the staff. The cleaning crew spoke to us and waved at my 15 month old. I would have given 5 stars if the front desk agents were more friendly. Thank you Sherry we enjoyed having you stay with us and hope you come to stay with us again under better circumstances. Fast check in. Fairly new hotel it looks like. Close to restaurants and Barber Motorsports. Less than five miles from Barber Motorsports Museum. Breakfast was good. Better than normal. Would stay here again for sure. "STILL ONE OF THE WORST BEST WESTERNS..."
Unfortunately we are limited in our choices to stay while visiting relatives in Leeds, AL.because we travel with our pet. This Best Western has some of the worst staff and service you can imagine. We didn't exit the room soon enough in the mornings and had to ask to have our towels changed and room cleaned. The first time we were told the hotel was understaffed and not able to accommodate our request. But, after we expressed our displeasure, our room was finally cleaned, somewhat. The morning of our departure, the cleaning lady literally stood outside of our room with her arms crossed as if she were put out by the fact that we were still in the room. We rushed to get out and my wife ended up leaving her coat in the room closet and had to go back after we checked out to get it. Employees are rude and full of excuses. I don't understand why Best Western doesn't step in and help straighten out this particular hotel. They certainly need all the assistance they can get! 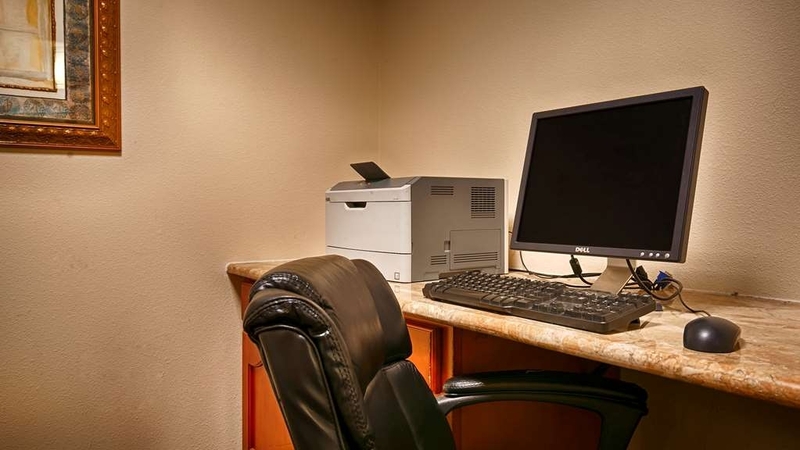 "Clean, good quality, and good location"
This hotel is nestled in a great spot where the noise level is low and the area amenities are abundant. We had family in both Birmingham and Athens which made for a good head start to the East. There were three in my party and we had a suite which accommodated us just fine. Had first floor two adjoining rooms. Very clean and very nicely laid out. Pool and hot tub were nice. Breakfast was adequate with standard choices of cereals, yogurt, fruit, breads, bacon sausage and eggs. Coffee and juice also. Would definitely stay here again. I usually don't stay at BW but I stayed at a couple of BW Plus and BW Premier properties that I enjoyed and thought I'd try this one. Not anywhere close to the others. It looks like a newer property but seems to have built on the cheap. You can hear EVERYTHING. When you walk down the hall, you can hear everyone's conversations in the rooms and you can hear everything in the hall when in your room. Thank God no one was in room above me. Only light in bathroom was over the mirror and shower was really dark. Plastic shower head was spraying everywhere. Fitness center had 3 household style light fixtures and was very dark. Treadmill was broken. No charging station in room and one lamp would not work. Had to plug in charger behind nightstand. Desk clerk was wonderful and check-in was fast. I would have given it 2-stars but the service was good and there were some decent restaurants nearby and its easy to get in and out. Dear WyoCwby, We do apologize for the inconvenience with the bathroom lighting we are in the middle of a remodel and will be taking action in the lighting department. We are also working on getting charging ports for the nightstands as well.Thank you for bringing the treadmill situation to our attention. If no one tells us then we do not know so thank you. I do hope that you give us another chance to show you that we are dedicated to superior service. Dark lobby. Unskilled front desk. We almost got charged for an extra night. Glad we checked out in person. Asked for more bed pillows. Staff brought upholstered lumbar pillows. Said they had no more pillows or pillowcases. Mr. TaylorRanch I am sorry to hear about the unfortunate incident regarding the pillows. We do have a limited amount of extra pillows and they are on a first come first serve basis. I do apologize for that, as far as the extra pillow cases we do have plenty of extra pillow cases and yes the associate in question is really new so he may have forgotten as to where to look for them. I do apologize for the inconvenience and hope that you give our hotel a chance to show you that we are dedicated to superior service. you travel for a job you need a station that allows you to recharge for the next day. 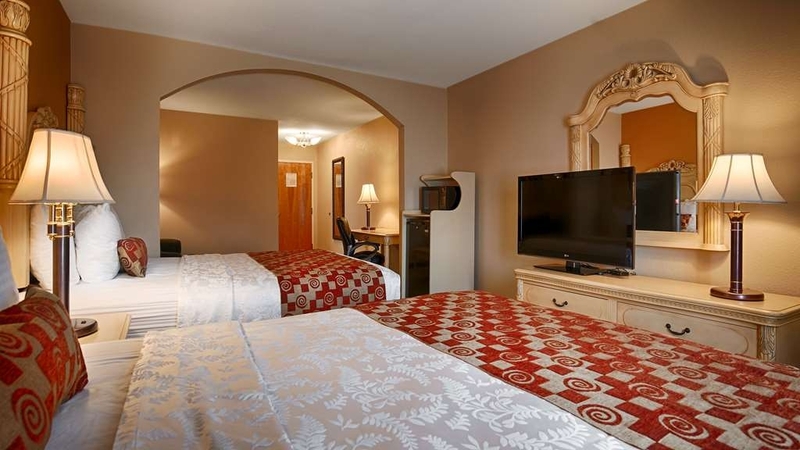 this motel does just this clean, quite rooms that allow you to prepare for the next days business. friendly staff make the stay a joy thanks! "Great place with clean spaces." We were at a meeting of professionals involved in education from all over the US. Since my wife and I live 8 miles away we didn't boo overnight accomodations. We were, however, in many guest rooms and two meeting rooms at the hotel. Everywhere we went we found spotless conditions. From the floors to the overhead lights we found not so much as a mote of dust. The staff was wonderful. They were really helpful in getting people from out of town to the hotel. They gave very good directions to places for people to see during off time. We are scheduled to meet there again in the spring. We stay here annually while we Christmas shop at the nearby Shoppes at Grand River. Rooms are comfy, neat, and clean. Breakfast is good and convenient. Free internet is available. Staff were friendly and helpful. Everything we look for in a place to stay was excellent here. A comfortable bed, quiet, easy, safe parking, a great breakfast and easy checking in/out. The staff was super-friendly and the appearance of the entire facility was clean and inviting. We will look for Best Western in the future. My biggest problem with this location was when I received my CC bill. I had been charged $25 the next day after My room charge had been charged. I called the motel to see what the charges were for. The Clerk informed me, I was charged for a pillow missing from the room. I assured her the pillow was there when we checked out. She said she would talk to the owners and call me back. She did call, said they were crediting my CC account, but when they talked to the maid, she still said the pillow was missing. Apparently they now have a maid with a new pillow. I'm a BW Elite member. I have never been lightly accused of stealing from a room or anywhere else before and am very upset about the situation. We booked this motel for it's convenient location to Talladega Speedway during the November race week. The desk clerk was efficient and friendly. We were given a room on the second floor (110-A) a King Suite, at the end of the hall. The rooms decor was somewhat dated ( off white furniture as shown in their advertisements) but the room was very clean and bed was comfortable. We went to get ice at the end of the hall and the ice machine and the soda machine had the fronts open and did not work, didn't work our entire stay. The next morning we went down for breakfast, bacon,eggs,egg patties, waffles, etc. Juice was watered down Apple ONLY (guests were taking a drink and pouring it down the drain) paper cup over the orange juice dispenser the 4 days we we there. The lady tending the breakfast area acted like she rather be anywhere but there. Many chain restaurants close by, including Cracker Barrel within walking distance. Check out was also quick and efficient. "Lack of Customer Care & Service"
I don't believe it exists! This is in reference to my stay at the Best Western Plus Bass Hotel & Suites in Leeds, Alabama, September 1-2, 2017 (Reservation Confirmation Number: 863835090). I accidentally left a silver drinking cup with teal vinyl lettering saying “#1 Rara” sitting on the front desk upon checkout. I have contacted the hotel nine (9) times over the last ten (10) weeks. I was reassured they have or had the cup and even told they would mail it. I even offered to reimburse them for doing so. Almost two (2) weeks ago, I spoke directly with a “supervisor”, Delaine Wright, who assured me her husband mailed it from the Vestavia Hills, Alabama Post Office on or about October 23, 2017. She “reassured” me through a text message [from her phone, (205) 452-9860] on November 4, 2017 that my cup “was mailed by regular postal standards”, but she will not tell me the exact date it was mailed nor exactly which post office it was mailed from (if, in fact, it was mailed). Needless to say, I still don't have the cup! I have been put off, strung along, lied to, cajoled, and falsely reassured! This tells me there is a lack of integrity on the part of the hotel staff and complete disregard for customer care. Any help at all anyone can give me in retrieving my prized cup from my grandchildren would be deeply appreciated! Charged my son for extra dog when it clearly says on website that you can have up to two dogs for $20. No hot water during the day. No OJ at breakfast. It sounded like a buffalo herd above us when all the people were doing was walking around. My sister, niece and I were in town for a wedding staying two nights (Fri & Sat). My sister made the reservations a few days beforehand. We both were coming in from different states and sharing a room with two queen size beds. My sister and niece arrived first and I came in second. There was no key card available for me at the desk but the hotel was expecting me when I arrived at 6:15pm. The room was 301 on the third floor at the end of a corridor near a drink machine. The whole stay was a very quiet one which was much appreciated. The beds and pillows were comfortable and the tv worked well with a "clean" remote. The room had a mini fridge, microwave, coffee maker and full ironing board and iron. A wire shelf was broken in the fridge so we took it out. The bathroom included a tub/shower combo and there was plenty of hot water. The second day after housekeeping straightened the room no towels/washcloths were replaced. We went to the head of housekeeping and she then gave us plenty of replacements. The continental breakfast included sausage, bacon and hot egg rounds. It is really great to have protein choices at breakfast! There were also pastries, make your own waffle, cereal, oatmeal, fresh fruit, yogurt and juice which was the standard continental fare. The only addition I would suggest is little containers of peanut butter and honey and boiled eggs. We appreciated the flavored creamers for coffee! Checkout was pleasant. Information had been given on Friday about the bill being a split one with my sister paying the first night and myself paying the second. The checkout staff (Laurie) indicated that that this information had not been passed on but she corrected it with a smile and no problems. She in addition to all other staff encountered were very positive, friendly and accommodating which goes a long way in a hotel stay! Overall, we all enjoyed our stay here. Other good things about this location include a grocery store, dollar store, restaurants, gas stations and Walmart right up the road all within 5 minutes. 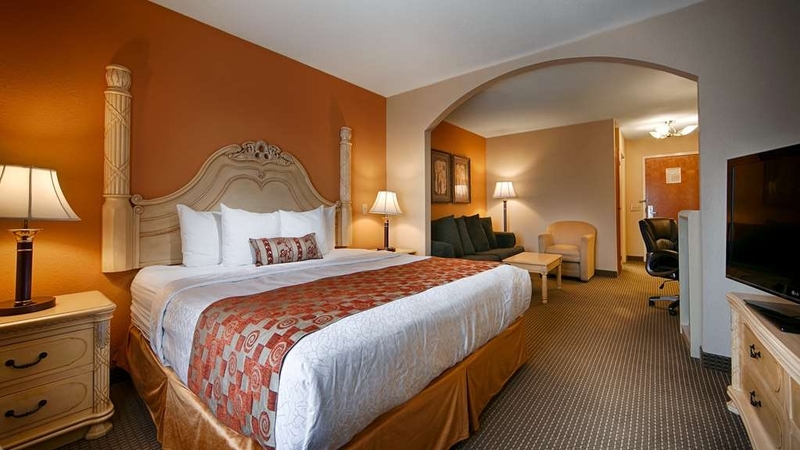 There is an outlet mall nearby and it was easy to go to downtown Birmingham within 20 minutes on a Friday night during rush hour..
Long day of driving, check in was quick & we were put on a 1st floor room, which I had requested. Dinner choices were numerous & close to the hotel. Easy access on & off the highway. The bed was a welcome reprieve & very comfortable. "Incredible Value and such a great Stay"
We were displaced by Hurricane Irma and went to Alabama because my fiance has family there. We decided to stay at Best Western honestly because they had available rooms for our large party. Any time we are back in the area, this is where we will stay. The staff was so caring and sincere in their desire to make sure we had a great stay especially under the circumstances. It felt so nice to be addressed by name by everyone there. If you are in the area, this is a great hotel to begin with. Also, the area has pretty much all amenities we wanted within a 20 minute drive at most. All we didn't find was a Starbucks LOL. We evacuated Lakeland Florida on friday 9/9/17 and ahead of the arrival of Hurricane Irma. After a drive of 20 hours we arrived exhausted at the BW at 5:50 am in Leeds, Alabama. We were met and welcomed by Sabrina. She had called during our trip and courteously verified we were on our way. She had placed our room on hold to assure we had a place to fall in bed after a long tension filled drive in heavy traffic with many other weather refugees. After a comfortable rest we awoke to find the hotel filled with tired fellow Floridians and their children and pets. The potential for high emotional tension and chaos was at hand. To the credit of manager Delaine's confident, pleasant, and efficient leadership all ran smoothly during our three day stay. Her staff followed her lead cheerfully and pleasantly, answered questions and fulfilling requests. The positive attitude of the staff helped our fellow guests relax and enjoy one another's company. We wish to thank Laurie for going the extra mile in the behalf of my wife and I. She spent many hours on the phone to assure we could extend our stay through monday and avoid terrible traffic and weather while attempting a return trip on sunday to our home in Florida. We also thank her for making our stay comfortable by finding us extra instant coffee for our in room percolator. We also wish to thank Mary and Berta and the other members of the staff that regularly prepare an excellent breakfast and kept our room fresh and clean while caring for our needs. Our hurricane adventure became a pleasant vacation stay because of the effort of the BW staff and the attractive comfort of the BW hotel. We have previously stayed at Leeds BW and expected good service. During our Hurricane Irma adventure we found our stay an amazing and positive experience. We highly recommend this hotel and staff and we will look for a reason to return in the future. Hotel was very accommodating during our hurricane Irma Excursion. We had two dogs and two cats and they did everything to accommodate us during this stay. Staff was courteous and professional and if in the area I would stay again. Stay was not what I expected from the appearance of the building, rooms where not very accommodating for business stays where you need to complete work in room. Room had a weird smell but wasn't an unclean room just had an odor. We were there for breakfast five mornings. There was no orange juice or sugar packets for four of the five mornings. Obscene picture on the mirror in the bathroom that you could only see when the mirror was steamed up from the shower. The picture remained there for our entire stay. Obviously, the mirror was not cleaned before our arrival or during our stay. the hotel was in a good location for access to Birmingham, Barbers Motorsports and the sites around metro Birmingham. We had an excellent room and great breakfast setup. I definitely recommend the Best Western Bass hotel and suites! Room was OK, the Internet slow and the breakfast was - again, OK. The hot tub was broken, and as I have a back/neck problem I was very disappointed (this was the main reason I booked the location). I'll probably only stay here again if nothing else in the area is available. BW Plus Bass Hotel & Suites offers a satisfying and pleasant experience. It is very convenient on our frequent drives from East Texas to Spartanburg, SC. Check-in is professional and very friendly. Inside only access gives peace of mind and and an extra measure of safety and security. Rooms are comfortable and bed is comfortable. 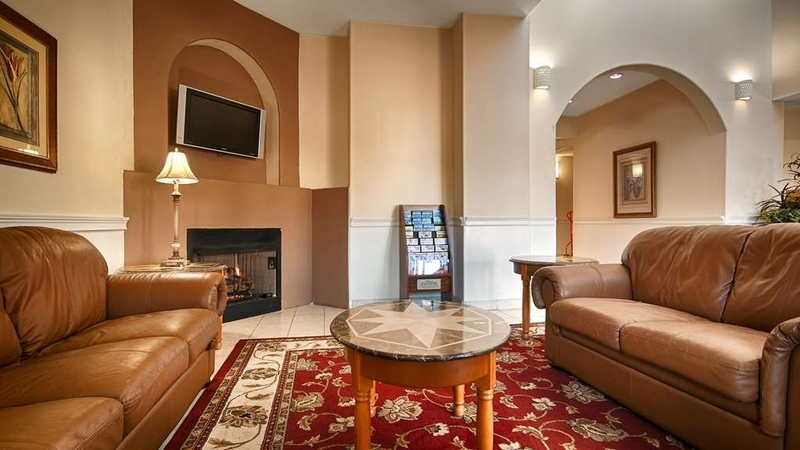 You will be glad you chose this Best Western! "Property needs serious management/operations review." I served 29 years in the military, so have stayed in many hotels across the country. My wife and I reserved a standard room on Sunday night. When we checked in the representative was very polite and helpful. The problems began when we looked at the first room, #315; it had a 3' x 4' section of ceiling over the bed that had been water soaked with some repair, but looked like it was about to fall down. I notified the front desk, so we switched to #215, but this room had what appeared to be black mold was on the ceiling in the shower and the gap between the tub and granite wall piece was very dirty, so dirty I took the key card and scraped off a large portion and left it on the tub, also the security hasp was falling off the door frame. I called the front desk again and requested a different room which the representative was helpful. She said she was going to call her manager, "Delane", who said we could switch to an upgraded room. The representative and I looked at two different rooms, the first, #303 had the toilet seat falling off, so we went on to #305. After checking it over, we accepted the room for our one night stay. Besides the multiple room problems, the elevator was not working properly and the hallway a/c unit was not working, allowing the hallway temperature up near 90 degrees. We wanted to use the swim pool and hot tub, but the pool had large clumps of hair floating in it with quite a lot of dirt on the bottom. The hot tub had hair around the edges of the tiles side. I was told that the Best Western Regional Management had just completed an inspection of the property the previous week, but they obviously missed many items. Upon checking out, I told the manager to feel free to have the Regional/District Managers contact me for additional informaton. Traveling Cross Country with the family. The hotel was very clean. Friendly, kind, & resourceful staff. Comfortable beds.. Pool area and fitness room were clean.. and not crowded. Right off I 40 West. Perfect location.. The desk manager was by himself when we called. You could tell he was being pulled in different directions but he maintained an awesome level of professionalism. His name is Angelo and he exemplifies customer service. When we arrived he was as kind in person as he was on the phone. He was still by himself but managed to make check in extremely easy and fast. The hotel was spotless and everything worked well. The lady cooking breakfast was overwhelmed by the number of people eating but she somehow managed to keep up and provide great customer interaction and service. Great place and great staff! Room smelled good when we walked in but it wasn't as clean as we would've liked. Stains on the runner on the bed spread, hairs on the sheets, stains on the lamp and the towels. Pulled out the sleeper sofa to put the sheets on it (have to ask the front desk for them), to find housekeeping hadn't even taken the sheets off from the previous occupant and there were dirty towels in there too. Check in was nice, the employee was really nice. Overall disappointing stay after a long day driving. My mother, mother in law and I were on our way to Alabama and stopped at this BW, the staff was very nice (Sabrina), the room was good and clean, the housekeeping ladies did however leave a bar of USED soap in the shower, which makes me question whether or not they cleaned the tub, and the only negative thing I have to say is the hotel owners have the air conditioners set to turn off at 66 degrees. And NO, it did not get cool or stay cool at all. Very miserable for sleeping. I am all for them saving money, but to not allow your guest to set their ac at a comfortable setting in summer is just unacceptable, and at the high rate we had to pay for the room. The bed was a little lumpy but ok. The breakfast was normal hotel breakfast, waffles, cereal, egg patties, and bacon. Would i stay here again, probably not because of the ac. But it is a good hotel, if you don't mind the higher ac temp. It is a clean hotel and friendly staff. No internet, phone not working, poor lighting in our room, commode flooded. No service man, the lady clerk had to take care of cleaning the water in bath room. Not enough personnel.The room was clean and appearance was nice. Breakfast fair. I always stay here when I visit! Its close to Logans and cracker barrel. As well as Walmart. Easy to get to from the interstate. Staff is always super friendly and helpful. Clean and comfy and quiet rooms. It's a good location for us to overnight at. It gets us west of Atlanta, which works going away from home or returning. It also has the added benefit of a conveniently located, nice outlet mall. The staff is courteous and helpful. the rooms are clean and comfortable. Our group checked into this hotel at last minute. We were a team participating in the National Senior Games. The location was not great for us, but we needed a place to stay since the Days Inn was disgusting. "Good value, convenient to interstate "
This hotel seems to be fairly new, so most everything is in good condition. It is walking distance to several eating options. The room was clean and quiet. The staff was friendly. The breakfast is standard free breakfast fare, i.e. OK only, not great or even very good. There are some telltale signs of hasty construction, such as electric or cable outlets attached loosely or crookedly to the wall. If you're looking for luxury, don't book at a BW. But if you're looking for good value for the price, this is the place. It's rooms and bathrooms are spacious and nicely done. The continental breakfast is fine is you're not too hungry and it's free. Free Wi-Fi and plenty of TV channels to choose from. Overall, a good experience. Room rate was very reasonable,and hotel was very clean, and room was elegantly decorated. I think the security lock on the door was broken, but other than that a perfect night in a clean safe location. We have stayed in 2 other motels when visiting in this area. We decided to try Best Western & we were very pleased with our stay. The motel was clean. The decor was modern. The staff was helpful. Breakfast was good & included bacon, sausage, eggs, variety of breads & pastries, some fruit, juices, waffles, cereal. The coffee, unfortunately, was the only disappointment of our stay. This hotel was beautiful. It had a room with 2 queen beds and a sofa sleeper. The room was large and spacious. There are plenty of restaurants within walking distance and a grocery store. Very nice hotel! "Just good but great staff"
Hotel staff was great and attentive. Lobby was very clean and rooms are good. My room door wouldn't lock and I didn't know about it until someone walking by opened the door. After alerting the staff I was moved to another room very quickly. It's located near several restaurants and food store within safe walking distance. There is ample parking that is well lit at night. Vending machines on my floor was out of order as well. They do include a free breakfast which was very nice. Checking in and out was a breeze since I made reservations before arriving and they do have express check-out. They also offer a laundry room with a washer and dryer. The hotel was very clean. It seemed to be new or very recently updated. Very tall ceilings, microwave and mini fridge in the room. Bed was comfortable. 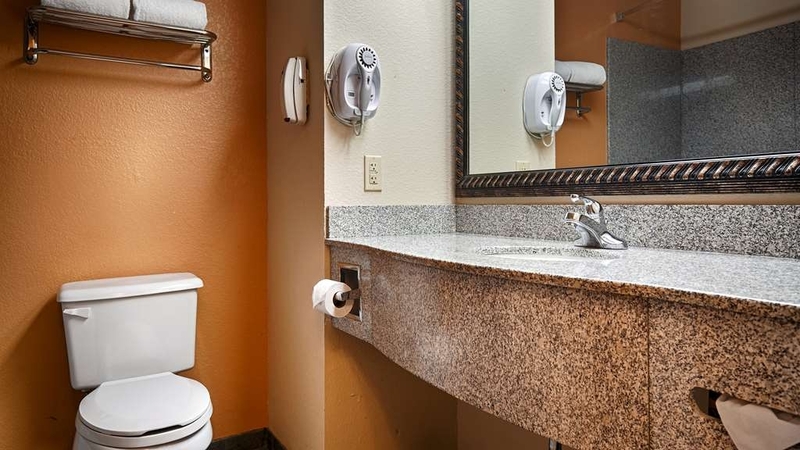 Large bathroom with good water pressure and temperature, and soft towels. We will e staying again! "Horrible, stay at Comfort Inn next door"
The company photos on all these sites are misleading and probably not from this location. First room smelled stale, was up coughing all night. They gave me an Ozone machine to help with the smell, which I now read that you're not supposed to breathe, might have led to the coughing. I took the AC filters down and the lady hosed them off & gave them back. Mold in the corners of the shower. It was so nasty I ran to walmart and bought Lysol and sprayed the whole nasty room. Shower rods falling off so the curtain didn't stay shut, so the bathroom floor was flooded while I got ready for my day. When I first arrived off the plane I hoped to get in the hot tub...the jets were broke. The 3rd day, the jets were broke and the tub wasn't even hot. Broken pieces of concrete chipped all over the pool area. The elevator broke & they didn't know when the guy might come to fix it, so I moved to the first floor into a non-suite room, but she'll give me 10% for all my trouble (which puts it at the non-suite price anyway). 2nd room smelled better, but I took the AC filters out and cleaned them in the tub just in case. The cable kept going out. It was raining early in the evening, then clear, but sunny out the next day and still doing it, they said they're not sure how they'd fix that. It was lines on the screen followed by a black screen saying "no signal" all evening and all the next day. I told them that night, and the next day, but they did nothing. I was staying longer than planned, so I walked over to Comfort Inn next door and booked the rest of my stay, and I suggest you do the same. They were $5-10 more, but it was CLEAN and they cared. I'll delete or change my reviews if they come to me and make it right, that would go a long way. "wonder hotel to stay at,,,,"
Clean, comfortable, and spacious rooms. Beautiful decor and friendly staff. It's right off of the interstate but not too much road noise. Felt almost like home. Close to restaurants. This will definitely be a stop over again. This was one the nicest Best Westerns I've visited, located with a number of restaurants within walking distance. If you were passing through or staying a long period of time it would be worth the stay. I cannot say how nice the staff is!! We arrived after 10pm, exhausted and miserable from our long drive. We were greeted and welcomed, given clear information and a clean, fresh room. Newly recarpeted and nicely furnished, our non-smoking room did not reveal a trace of stale air or smoke. Comfortable beds and linens, we slept well and appreciated the updated and clean bathroom--good water pressure and temperature. I forgot my favorite reef flip flops, but they agreed to mail them at a minimal charge. 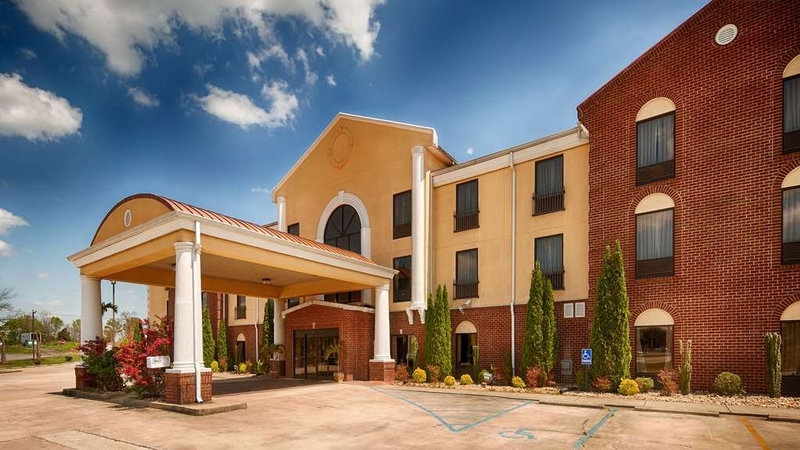 Best Western has really stepped up its game--we make the trek up I-20 regularly and will definitely make this our regular stop. Nothing special about this one. Nothing terrible either. We received an unenthusiastic greeting at the front desk, given our room key and sent on our way. Not sure I detected a smile the entire time. The room was okay. One odd thing was the ceilings were like 11 feet tall. I like tall ceilings but these were over the top (pardon the pun). You felt like you were in a barn. Sound was also a problem. You could hear people walking in the room above constantly. The bed was too soft for my tastes. Furnishings were a bit dated. The pool was indoors, which might be great in the winter but was uninviting on the 91-degree day of our stay. The “free” breakfast didn't offer much, so we skipped it. At this price point I wouldn't say the hotel was terrible but I wouldn't go out of my way to stay at it either. We do apologize that you were not satisfied with your stay. We have addressed with our staff the importance of Customer Care. We hope you will stay with us again in the future and the experience will be much better. We stayed here on our last night on the way home from Little Rock. It is a basic hotel but had unfinished flooring and the hot tub was covered with plywood. The noise of walking in the room above us thankfully stopped at bed time and started back about the time we had to get up and get going. There were some strange clicking sounds during the night that kept my husband up much of the night. The breakfast was adequate with some hot and cold items. Will not choose again. I had another enjoyable visit at this motel. One of my top choices. Friendly service, great location, privacy given. I always enjoy my stays here. I have stayed numerous times. Beautiful appearance and comfortable beds. Thank you for staying with us. We are glad you enjoyed your stay. Horrible. The room was dirty, the remote had something black on it and the place just reeked of tobacco smoke event though it was sold as a non-smoking room. My advice is to drive on, had it not been so late I would have demanded my money back and left. Terrible. Our room was clean and it seemed very quiet. We rarely heard anyone else. The bathroom floor had an uneven tile right in the middle of the floor. Watch out for stubbed toes. Breakfast was nice and hot but the set up was awkward. Everything was spread out too far. I am glad you enjoyed your stay with us. We are working on the breakfast area during renovations. We have a better setup coming in the near future. I hope you will come back and tell us how you like it. I really enjoy staying at Best Western Hotels. The overall appearance of the hotels has always been pleasing. The beds the design of the rooms and rest rooms are so inviting, the beds comfortable, and the rooms clean. I get excited thinking about staying each time. I would definitely recommend staying at any BW. I am glad you enjoy staying with us. We like our guest to be comfortable when they are here. Excellent facility. Most comfortable beds on the Interstate, and very professional staff. Conveniently located and easy to find. Breakfast was excellent. Multiple choices for places to eat within walking distance. "Nice Hotel for the Area"
My family and I travel to this area a couple times a year so we have jumped around from hotel to hotel, trying to find the best one. This hotel we found was a Great Value, had a Safe Layout, Nice Clean Rooms, a wonderful Hot Breakfast, and a Pool. Unfortunately, the hot tub was not working so we were limited to only the pool. 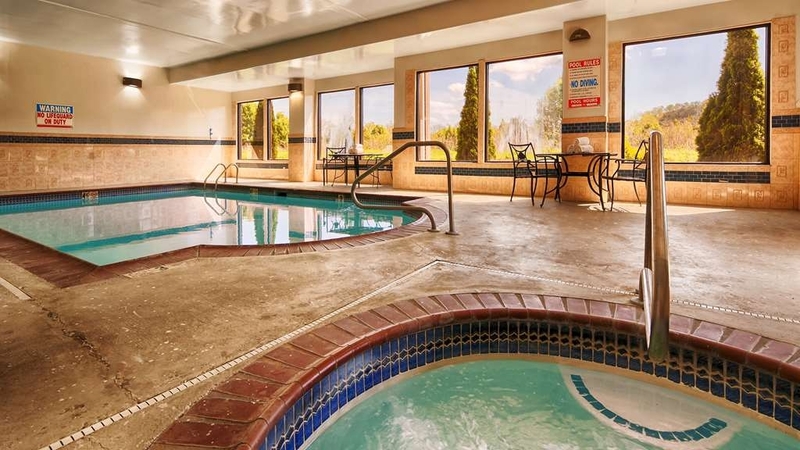 BUT the pool is indoor and heated, so that's a huge bonus! My biggest issue with this hotel, which is why I didn't give it 5 stars, was the woman who was working the front desk. Originally, there was a VERY NICE woman working the desk...BUT THEN this other woman came on shift and she was just rude as could be. I was bringing a blow-up ring for my 6 year old son to use in the pool because he can't swim and the pool was deeper than he was tall. This woman immediately snaps and tells me I can't bring floaties into the pool! So I went and returned the ring to my room but also asked if they provided any arm floaties or sold any so that my son could swim and I would be able to enjoy the pool without holding him the entire time. The nice woman apologized but informed me they did not have any. HOWEVER, the other woman jumped in and said "NOO! The pool is to small for floats!" at this point I went on my way to try and enjoy the pool with my family. Mind you, there were NO signs anywhere saying that floatation devices were prohibited in the pool BUT there were plenty of other rules. i.e. No diving, No running, No food or drinks. After about 30 minutes of being in the pool a group of older men and a few women come in to the pool area escorted by the front desk attendant. Would you believe that she assisted them to a table, right next to the sign with NO FOOD OR DRINKS, while they all carried beer bottles and were drinking!?! I wouldn't have had an issue with this at all had they just let my son use the float. But obviously, there is no consistency with how management runs things. I am unsure if we will be back. We often stay at Best Western hotels. We have found them to be biker-friendly. The room was clean. The beds were very comfortable. This hotel is close to restaurants, a grocery store, and a Walmart. Close to Barber Motorsports and Southern Museum of Flight. I booked 3 rooms for my neices graduation from Leeds High School. All the rooms exceeded our expectations. The pool was great. They were working on the Jacuzzi so we could not use but hopefully next time it will be ready for us. 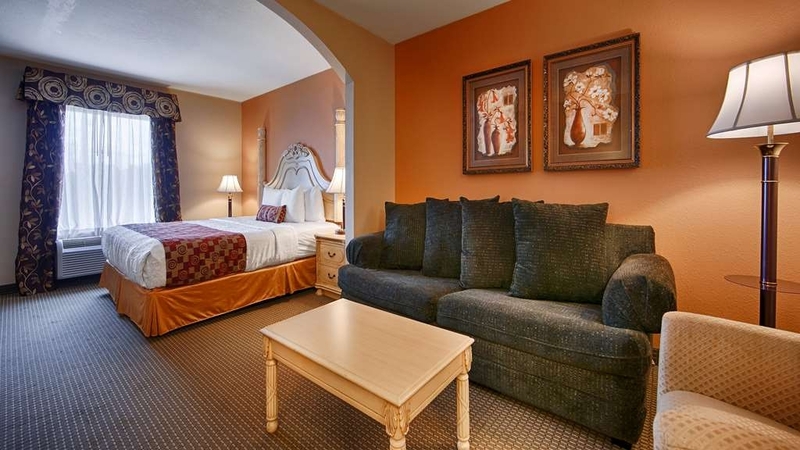 The rooms were clean and staff very caring and courteous. We will be back. Though it took us about twenty minutes to find the hidden access road, the whole experience was worth the extra effort. Definitely take a suite, if offered. Dining experience was exceptional. And the hotel allows dogs, which we didn't hear until the morning when they left. So rooms are well insulated. "Stay for funeral of my brother"
We enjoyed our stay and would use the hotel again if needed. We came to the hotel for a funeral. The hotel satisfied all of our needs for the weekend' Everything was well above average and the staff was very helpful and kind. We are so glad you chose our hotel for your stay. I do apologize for your lose and wish your family well. I am also glad we were able to meet your families needs and look forward to seeing you again for another occasion(vacation). This hotel will meet your needs. The location is excellent (around nice restaurants, antique stores, and Bass Pro Shop about 5 miles away). Nicely kept up and personnel are very helpful. The breakfast is ok but nothing grand but will do. "Best Value for the Money!" Great staff, recently remodeled, clean rooms. Breakfast has hot and cold items. Very close to Barber Motor Sports Museum, Bass Pro and the Outlet Mall. We considered the Hampton Inn but the price was much more than our budget and are glad we made the decision to stay at Best Western. nice room, very comfortable bed. hallway carpet dated. looked like 1970s, but it was fine. very nice inside pool. my wife loved it.. my only let down was the dining room. I get up early and meet my buddy for coffee about 5 to 10 after 6. went to the coffee pot and the counter was covered with sugar and creamer papers. the container was running over. I have never seen this at a Best Western. did not see a worker in the dining area until after 7, and she did not seem too happy to be there. all in all a good place to stay for the money,will stay there again. I sure hope the have someone to take care of the dining area. I am glad you and your wife enjoyed your stay. We are in the process of updating the hotel and I apologize for the breakfast area. Check-in and out were fast and easy. The hotel was clean outside and inside. The room was clean and comfortable. The bath room was clean and had everything you would need. Breakfast was ready before they said it would be. It was hot and a lot of it. Close to I-20 and places to eat. Good value , I will stay here again. We are glad you enjoyed your stay with us. We like were our guest are even more happy about there stay when they live, than when they first booked it. We look forward to seeing you again. Very clean hotel and room. Very helpful and pleasant employees. Close to several places for meals. Right off I-20. Have stayed here several times. Always a pleasant experience. Good value for a super nice place. I am glad you enjoyed your stay with us. We always try to make it a great experience for all. Hope to see you again soon! The staff at the hotel to be trained to take care of customers. The room i stayed in had been smoked in and wreaked of cigarette smoke and just generally stunk. I requested that i be moved to another room due to the one i was in being substandard and i was told the only other room they had would cost me another $50 due to it being a Jacuzzi tub room. I was offered a bottle of air freshener to cover up the scent and wasn't even offered a discount or refund. I travel quite a bit and never have i saw customer service such as this. We do apologize that you were not satisfied with your stay. We have addressed with our staff the importance of Customer care. We hope you will stay with us again and the experience will be much better. 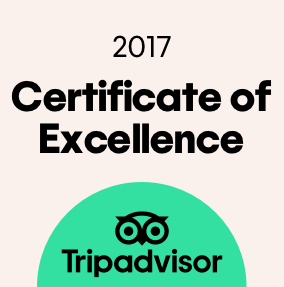 We have stayed here many times and have always had a very good experience. 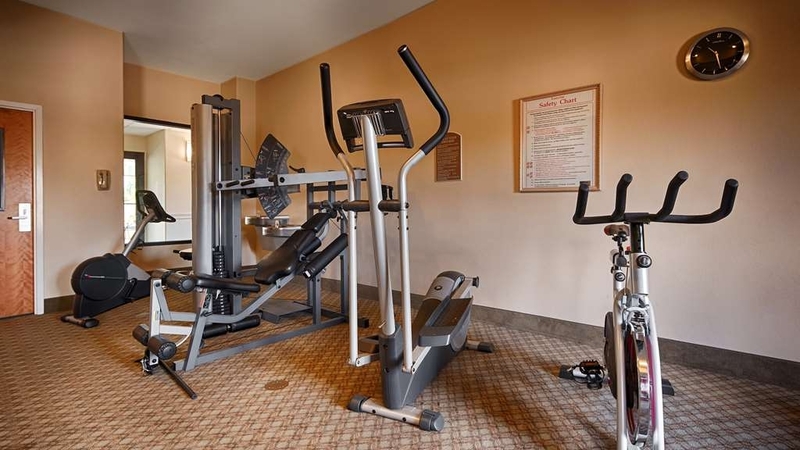 The staff are friendly and there are nice amenities on the property. This is a great location, close to many attractions, access to I20, and many restaurants within a half mile. We love for our Guest to feel like family. I am glad you got that experience. "Terrible Service, Rude Staff, oudated and dirty rooms!" This hotel looks fine from the outside. Actually it looks fairly new. This is hardly the case. I arrived late and did not look around the lobby when I walked in because I was tired from driving. After check-in I noticed the outdated lobby and breakfast area. If I had noticed this before check-in I would have asked to see the room and probably not stayed here. I thought things would be ok. I got to the first room blood on the sheets not much but I still would not sleep on any sheets with any blood stain. The sheets also look dirty like they had not been changed. I asked to be moved the second room not any better clean sheets that's all. Second room dirty floors and not cleaned well. Tags laying on the chair from clothes in plain view in the seat of the chair from previous guest. Bathroom appeared to be clean but by the looks of what I had seen I do not know. Housekeeping cart left in hallway overnight piles of linens in the hallways overnight. Arrived late around 9 and 10 pm no excuse for this. Both room are outdated and furniture old and worn and dirty. Breakfast was free and ok but not the best. Upon checkout I asked if I could get a $10 discount for my inconveniences and the clerk rudely said no you were compensated by moving to a new room. I said excuse me that is not compensation I should not have had to move to a new room and a room that was still not clean. The clerk called me a liar and said she checked the first room and it was fine. You never do this to a guest. I showed her the pictures of the first room and the ones I took of the second and she still denied anything was wrong and claimed the clothing tags on the chair were under the chair cushion or under the chair itself. Look at the pictures. I told her the rooms were outdated as well. She mentioned rudely can't you see we are under renovation. No and not mentioned at check-in as it should have if they are under renovation as I would have not stayed as well. I saw no signs of renovation. There were a few times missing in the lobby I figured they were broken and being replaced. She had an excuse for everything. I again told her I wanted a discount of $10 and she argued with me she can not do that and I did not need a discount. She said she would get in trouble. If there is no manager on duty then you are in charge. This was a perfectly explainable reason for a discount. If you can't make the decision then call your GM. I think I mentioned this but she made up some excuse about that as well. A GM is always reachable unless they don't want to be by telling the staff not to call them if a guest has a complaint. Every job I have worked at the GM or Store Manager is always available 24 hours a day this is their job 24 hours a day 7 days a week. If something goes wrong it is their problem to deal with it even in a meeting. Another guest walked up and she rudely asked me to step aside so she could deal with that guest like I was nobody. Again you do not do this to a guest. I do not know where she got her hospitality training. I don't think she had any at all. Her job is to take care of the guests and make sure they are happy and satisfied and will return. This hotel has no customer service and does not care about the guests. I can not remember the female desk clerks name but I did at the time I reported here to Best Western where she will go on the record with Best Western for having a complaint filed against her. She also was outside smoking in front of the hotel frequently by the door. I do not want to smell this when I walk in besides it looks unprofessional. A male was with her in the lobby when I returned from dinner I assume her boyfriend. This was the second time we have stayed at this motel. They are in the midst of small remodeling project but it doesn't take anything away from the visit. Have already scheduled another visit. The beds are great. The pool and jacuzzi are perfect, just wish it was open later. I am glad you always enjoy your visit. Next time you are here just ask and we may be able to keep the pool area open a little later. It always depends how many people are in house. The people there are real nice. My only complaint is that the heat didn't work in our room (it was winter), and the couch looked liked someone died on it. I loved the shower pressure. But overall it was good. I do apologize for the Heat not working. We are remolding right know and will be replacing a lot of things in the room. We hope you will come and see us again once we get it done. Super nice place. Rooms always clean. Staff very cordial and helpful. Have stayed here repeatedly when needed. Highly recommend. Not super cheap, but good quality room worth the money. Room always clean. Beds always soft. ""Just another notch in my guitar" Robert Cray"
Average interstate adjacent hotel currently being remodeled. Leans toward the lower end of the "BW Plus" scale. May ratchet up a bit after redo. Just off I-20, near restaurants and shopping. Super fast internet and fair pool area. Not a destination stay but a nice stop along the way. You tend to give a lesser review of a hotel when the lobby is a mess but the overall experience went well. The manager was a nice guy. The overnight desk girl doesn't seem to like her job and it showed in her demeanor. Good night sleep for a reasonable price and close enough to my customers. 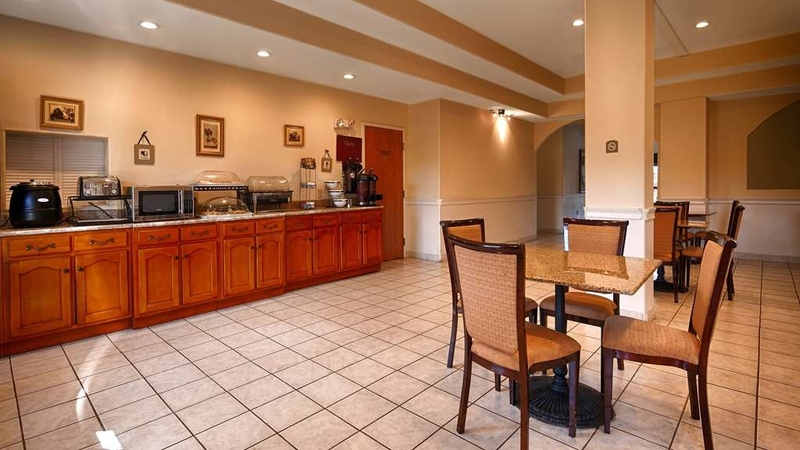 Breakfast is average for a Best Western. Clean, friendly, love that reservations are daily, not the 48hrs or more. The staff was very helpful in knowing and showing places of interest, especially good places to eat. The lighting in the parking lot was very bright which is good when you are parking a motorcycle overnight. "Relaxed time at the beach"
Had a good stay with no problems. The rates were good for the two nights that i stayed, and i'm not to picky on some hotel prices. Overall, i had a nice birthday and went to casino's and had lots of wonderful food. I actually found myself checking into the Best Western in 2010 after the hotel I was supposed to stay in lost my reservations. They checked me in at a lower rate and the stay was great. Harry the Manager took care of me the next year and he has continued to offer me a competitive rate despite the growing vintage event at Barber spurring a rise in the rates at all to the hotels in the area. I never got to see him this visit to personally because he was very busy. If you're reading this, Harry, thank you very much for another excellent stay! We experienced an excellent checkin. I booked the room thru third party and they booked a smoking room and at check-in the manager gave us and upgraded king suite non-smoking room at no extra charge. Very appreciative and satisfied with service. The staff are always pleasant and it's very nice to look forward to that hospitality. I love their beds--they are soooo comfortable. We didn't stay for breakfast--just got coffee. We will definitely be back again when we have to come into that area. The unit was in good shape and the staff was helpful. We actually made a mistake in booking one day off and they covered for us with identical rooms. The WiFi was minimal to non-functional. The bed was comfortable and the breakfast was comprehensive and tasty. "Didn't measure up to other Best Western Plus hotels"
We were fairly disappointed with our recent stay at the Best Western Plus in Leeds, AL. It just didn't measure up to other Best Western Plus hotels in which we've stayed in the past. When we first walked in the lobby, we were met with the strong smell of cigarette smoke and the area looked a bit dingy. The clerk was efficient but not overly pleasant. The elevator had broken, dirty tiles. The hallways smelled like smoke and had dirty carpet. Although the carpet in our room was dirty and the a/c unit was a bit loud and the dials weren't working properly, the rest of the room was clean and the bed was very comfortable. The breakfast was good, although I wasn't able to have the waffle I wanted because they had run out of syrup. There was a barking dog in a room near ours and the parking lot was full of motorcycles that left at staggered times throughout the morning, but neither of those inconveniences were the fault of the hotel staff. The young lady who checked us out was extremely pleasant and helpful. I do apologize our hotel did not meet your standards. I will be checking into better smoking areas so that the smoke doesn't come in the front doors. Also apologize about the carpet in your room. We deep clean them about every other week unless something is spelt in the room or it needs to be deep cleaned. We do have ventilators in the hall on the third floor to help keep the smoke smell down or eliminated. I hope you will give us a try again so we can show you why we are the best Best Western Plus in Leeds, Al. We have stayed here in the past and came here again. The staff are all wonderful and very helpful. We will continue to recommend this hotel and we will continue to stay here when in the area. Sometimes we have the breakfast, which is good. The staff really tries very hard to accommodate your requests for rooms. The WiFi is easy to use and you don't get kicked off. Facility is well maintained and secure. The police even drive through the area for security! The facility seems well managed.